Just in time « She just can't sit still! I finished the modified short fingerless gloves for Brian last night and he found this morning’s slushy rain a perfect time to debut them. I’m really pleased with the way they turned out. 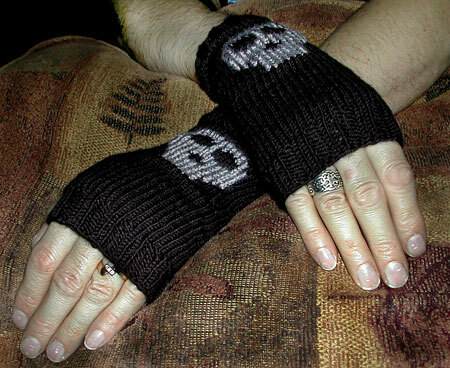 These knit up so quick and easy and the modifications to the thumb are just what I wanted. 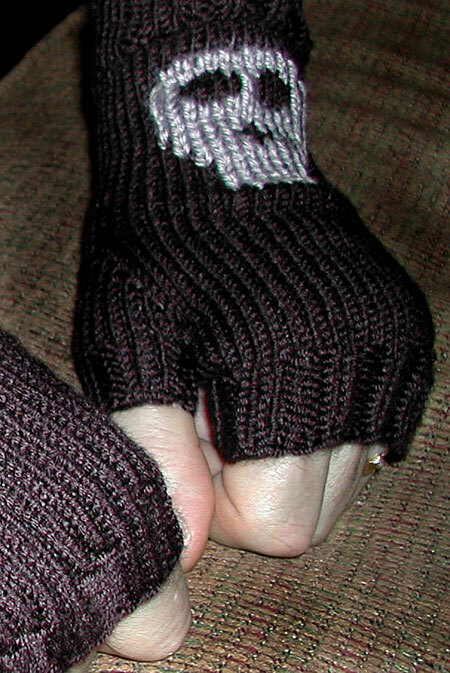 This is without a doubt my favorite way to knit up the thumbs. I just love the symmetry and the comfort. 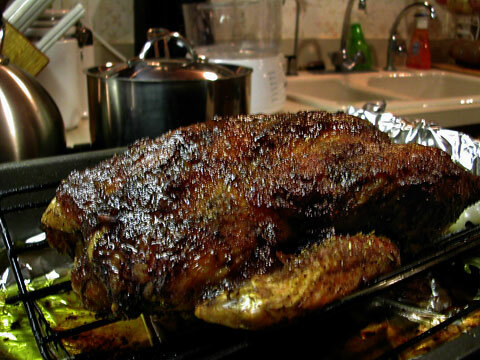 I also made a fantastic duck dinner last night. Click on the picture if you’d like the story and the recipe. Of course, this site the dinner and the gloves came after spending several hours stacking the wood that Brian split yesterday. Who says Sundays are lazy days? This entry was posted on Monday, October 23rd, 2006 at 9:32 am	and is filed under Fiber Arts, Food, Gloves, Knitting. You can follow any responses to this entry through the RSS 2.0 feed. You can leave a response, or trackback from your own site.